We probably shouldn’t have to say much more than this: Portable Martini Shaker. In fact, this cool little metal box with a hinged lid has dozens of uses you may have never thought of. We’ve been making mini survival kits and first aid kits for years from old Altoids tins, thanks to a friend of friend who devoured a tin of mints a day. These compact survival kits easily fit into a day pack, hiking gear, and in the car. 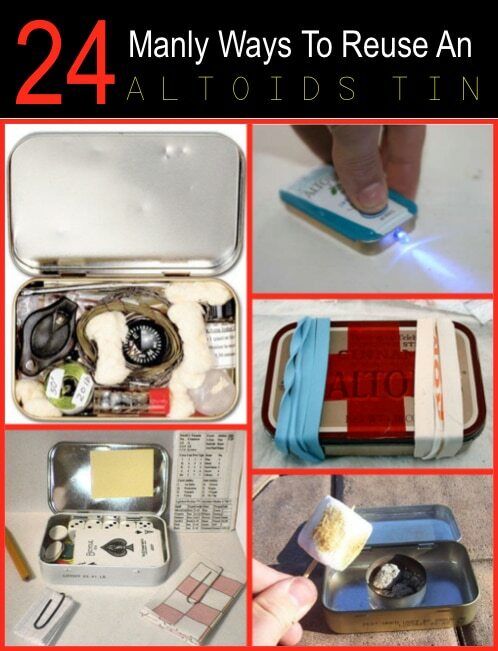 Read on to discover 23 other near genius uses for the comely Altoids tin.